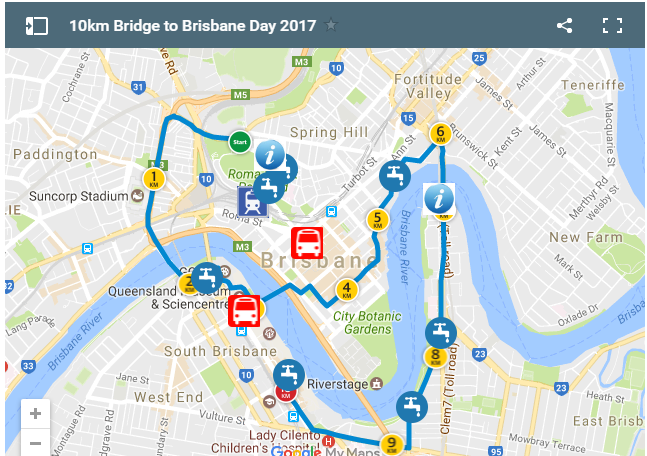 Bridge to Brisbane 2017 | JustRunLah! 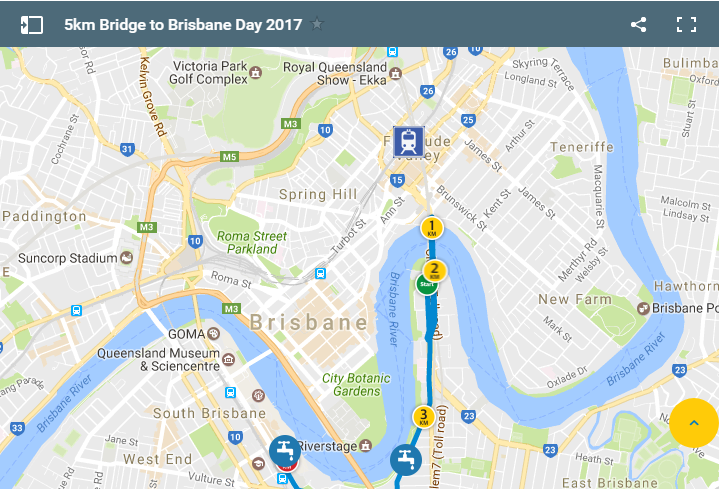 Bridge to Brisbane involves a choice of two distances - 5 km and 10 km. The 10 km course will commence at the Sir Leo Hielscher Bridge – South (formerly Gateway Bridge), Murarrie and finish at the RNA Showgrounds. The 5 km course will commence at Remora Road, Hamilton and will finish at the RNA Showgrounds.